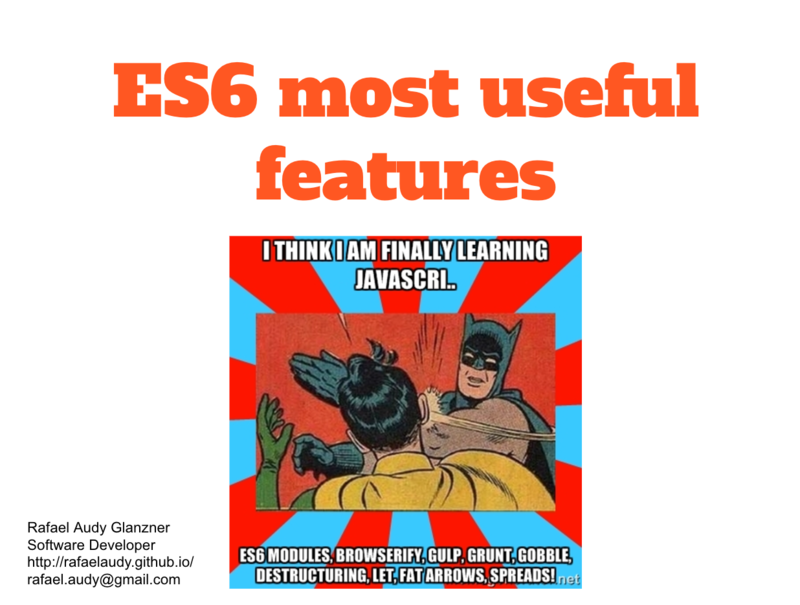 Here is a compilation of the ES6 features that I think are most amazing ones. Have a look on the talk I gave at SKY on the subject. 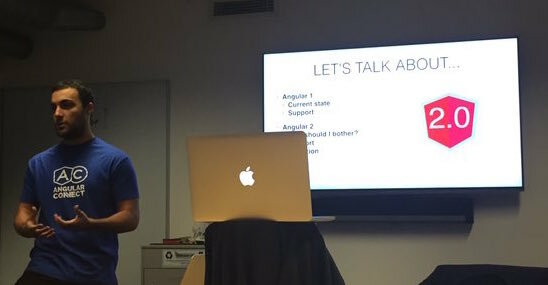 Should you care about Angular 2? 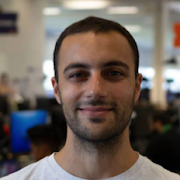 Is it easy to migrate from Angular 1? In this talk (available on this post) I explain why this framework might be the hottest thing on the web next year. This post also contains the slides, repositories and links mentioned during the talk. Create your first Angular 2 app using TypeScript. I'll introduce these two technologies and show you why they work so well together. Since I have been working for almost an year in a big project built with AngularJS, NodeJS and Couchbase I thought it would be a good idea to do a small review and register the coolest things I learned and some of the pitfalls my team encountered.